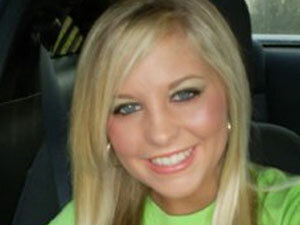 (CBS/WREG/AP) PARSONS, Tenn. - Investigators now say the brother of missing Tennessee nursing student Holly Bobo did not see her being dragged from her home, and that they believe the 20-year-old was afraid for her life when she walked into the woods near her home with a man. "He actually had an arm holding her, so we feel that she knew that she was in fear of her life. So she was complying with his demands," said John Mehr, an agent with the Tennessee Bureau of Investigation, reports CBS affiliate WREG. Investigators say Bobo's brother saw blood outside the home after he saw her speaking with the man as she was leaving for school. Bobo's brother has been ruled out as a suspect, reports WREG.